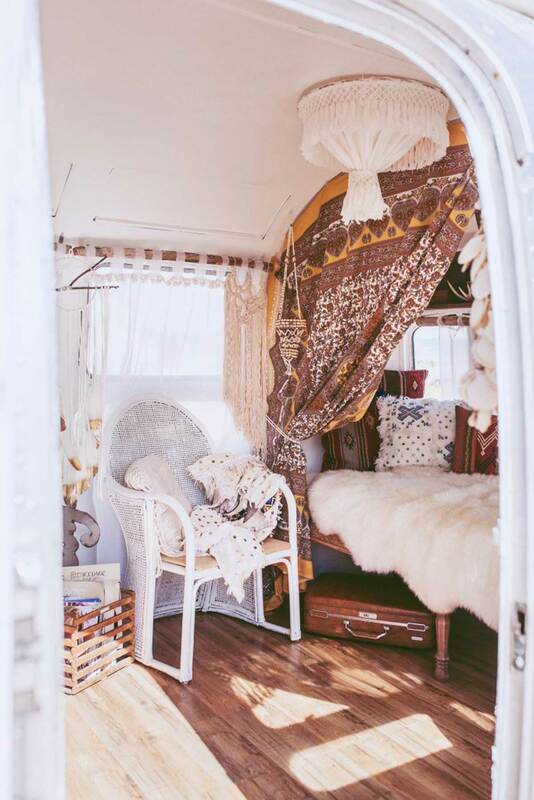 Top tips to get Glamping! Move over Nanna and Pop. 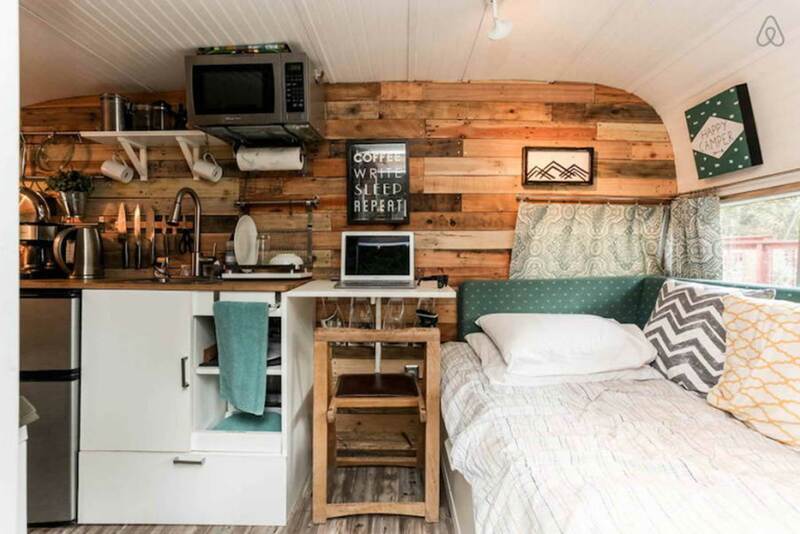 The X and Y Generations have discovered camper vans and you’re about to have some stiff competition at the trailer park. We’re taking the glitz and glamour of our inner city abodes on tour, pimping our rides and rolling into a national park near you. 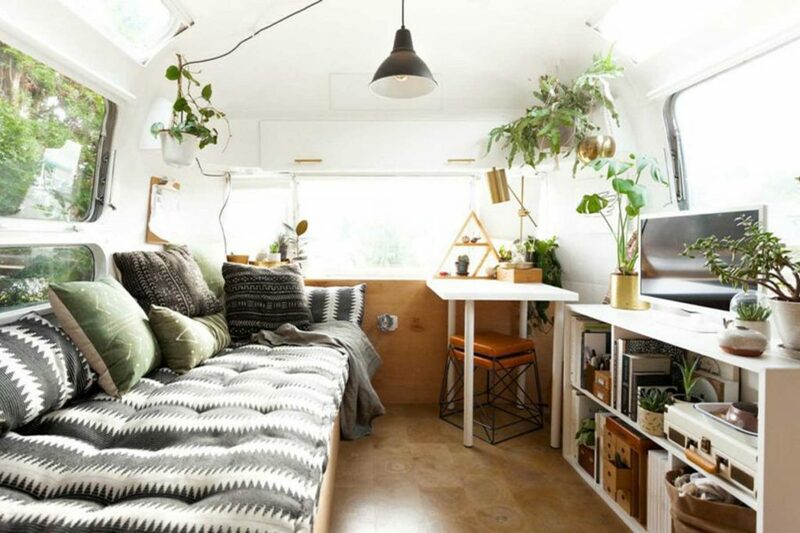 It’s called Glamping (of course) and now that Aussies are being swept up by the interior design revolution, it’s time to extend that style to mobile homes. We’re about to make our campers so cool, the teenagers will be begging to hit the road this summer. They may even forget to bring their phones and game consoles (okay, maybe that’s a bit unrealistic). Let’s check out some camper tips that will make grey-stubbled jaws drop when you roll into your favourite beachside trailer park this summer. Let’s not get too literal about this whole ‘camping’ thing. Glamping requires a whole new mindset. First we’re laying down a tarp, so our ridiculously huge picnic rug won’t get wet. Our outdoor area will have all the comforts of home during its evening mode, thanks to beanbags and blow-up couches. Your trailer park neighbours will be sitting on their fold-up canvas chairs, green with envy as you inflate your luxurious plastic lounge. When it comes time to bed down for the evening, we’re doing it in style. We’re basically bringing everything from the bedroom with us, except the furniture. Instead of sleeping bags, let’s cover our rug with throw blankets and cushions, and snuggle up in our favourite dooners. The great thing about our tarp and rug set-up is how easy they are to sweep and clean in the morning. We’re talking about hammocks. Hammocks are an intriguing invention because you might wonder what all the fuss is about…until you try it for the first time. Yes, it may be a little difficult to mount your first hammock, but it’s a lot harder to escape. That’s because they’re so relaxing, you never want to move again, except for the gentle swaying motion that makes you regress to early childhood. For a cheaper option you can get a tarp from your local Bunnings, but hammocks aren’t expensive. And the great thing about this mobile form of furniture, which just happens to be the most relaxing thing on the planet, is that you simply unhook it and roll it up into the size of a yoga mat. Easy to store and hang up at your next location. If you’ve never hammocked before, nothing could possibly come more highly recommended. Glamping modernises the camping experience, so I’m afraid fans of eye-spy and Kumbaya singalongs around the camp fire may be disappointed. Just because we’re in the bush doesn’t mean we can’t have fun. We’re bringing speakers, a laptop, a white drop-sheet and a projector. It’s time to set up an outdoor cinema under the stars. Surprisingly, Australia’s natural wildlife seldom gets to see Hollywood blockbusters, so think of it as giving a little back to nature. Just make sure your laptop is loaded with plenty of choices for the whole family, and don’t forget your charger or there will be tears. We Glampers like to be surrounded by nature but we have to draw the line somewhere. For instance, we don’t do insects. It’s simply unacceptable to be bitten by mosquitos. We also make sure we’re maintaining an urban level of hygiene, so those communal bathrooms? Na-uh. That’s not happening. We’ll be investing in an ensuite tent and a cheap shower. Think of it as a slightly scaled-down version of your actual home. We’ll even be bringing solar-powered garden lights to make sure we can easily navigate between the tent and shower. Just because we’re outdoors doesn’t mean we’re ‘roughing it’. We’re bringing most of the kitchen with us, including pre-cooked meals. That’s why a good camping fridge/freezer is essential. While our camping neighbours are staring disconsolately at a scorched marshmallow hanging from the end of a twig, or shovelling baked beans from metal bowl, we’ll be enjoying a fine roast, perhaps with a smooth, sweet Merlot. Wine-not? There are a whole range of amazing portable ovens and of course, the trusty gas stove tops which give you the freedom to show off your culinary skills. There’s not much you can’t do with two hot plates, some veal, maybe a few truffles…okay we’ve gone too far. When it comes to the dining setting, bring along a couple of citronella plants. Not only do they add a lovely homey feel, but it’s also the closest thing to kryptonite for mosquitos. 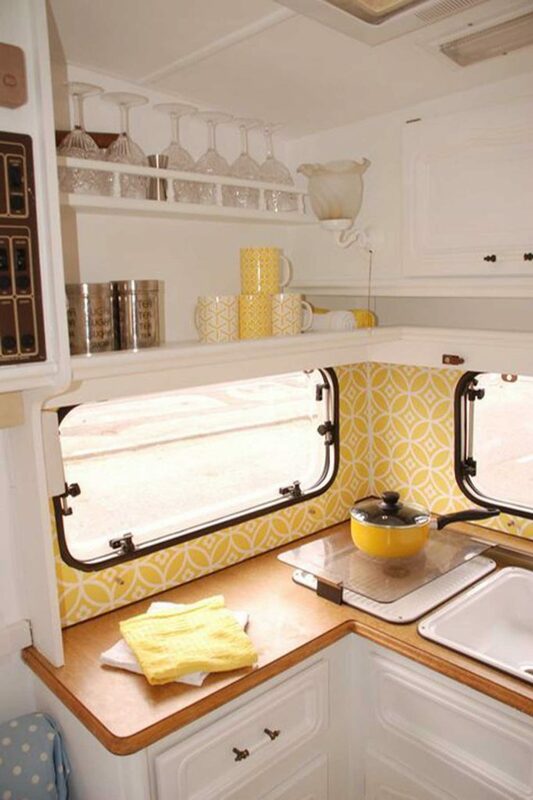 Glamping isn’t just about avoiding nature while being surrounded by it; it’s also about styling your camper van. This summer we expect to see a bit of creativity out there on the road. 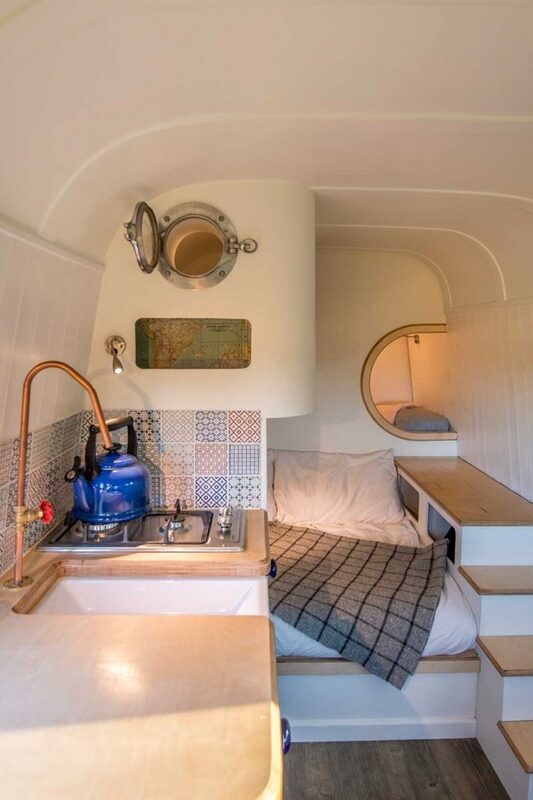 We’re looking forward to Scandi-vans, Art-deco-trailers, Boho RVs and Luxe tents. Bring a little flair and style to the highways and bushlands this summer. Join the Glamper revolution.